Room 20: How many teeth altogether? 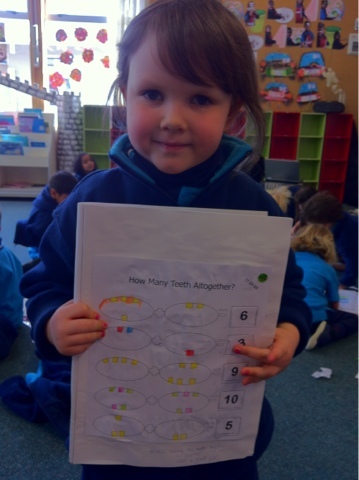 We were learning to add to 10 by counting the teeth. Look at our cool maths today with Mrs Baird.